Happy Week of the New Moon in Cancer! The Moon will be New in Cancer on Wednesday, July 15 at 9:24 pm eastern. 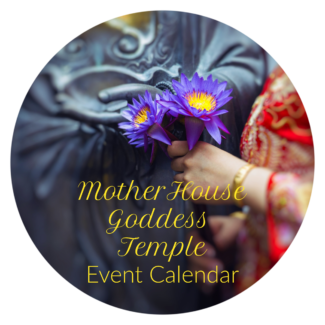 To celebrate this New Moon, we are unveiling our first Goddess Moon Ritual through Mystery School of the Goddess with Priestess and Shakta Yogini, Laura Amazzone leading a teaching and ritual to the Goddess Kali. 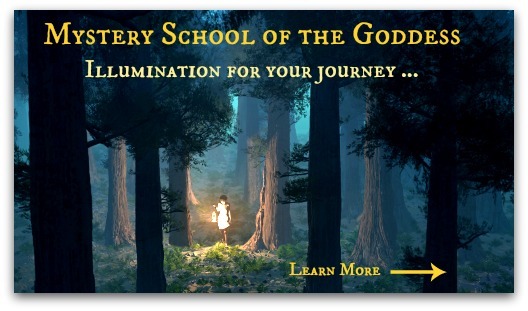 The New Moon Ritual is free and you may join live or view the archive video – register here on Mystery School of the Goddess. Feelings and emotions are still ruling the energies this week with Sun and Moon in Cancer. 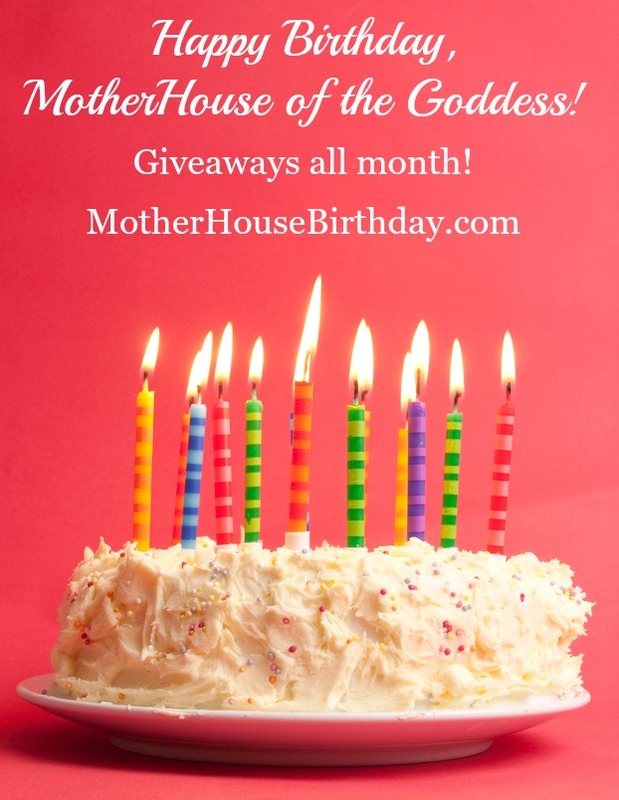 Strong Feminine energy and the influence of the Great Mother Goddess are supporting us in this lunation and the overall themes are Receptivity and Compassion. New Moons are the times to plant our intentions, seeds for manifestation over the next few weeks and this week, we focus on our emotional needs and desires. How can we meet our emotional needs and desires? Are we blocking messages and engagement with Goddess and our Guides? How may we be more open to receiving? What needs to be released to connect more fully with the path of compassion to our Selves and to Others? What does compassion mean to us and how do we invite it more fully into our life and practices? Take some time in preparation for the New Moon to review these questions and create a list of intentions for meditation and ceremony on Wednesday night. The Goddesses are still trending to four! As always, I am in awe of the synchronicity with the astrological weather and the Goddesses that appear to support and nourish us this week. 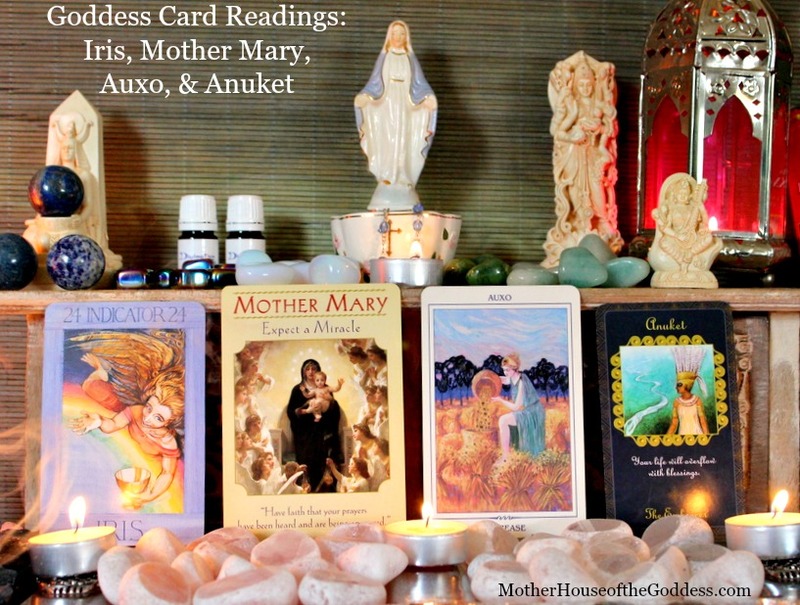 Goddesses of divine messages, miracles, compassion, and blessings surround us. This is especially powerful as the Saturn Retrograde in Scorpio and Chiron Retrograde in Pisces are forming a grand trine with the New Moon. 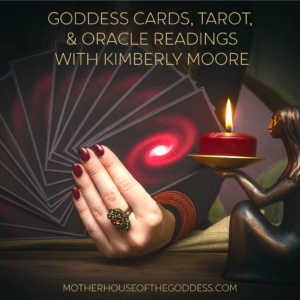 Karmic connections, lessons from our wounded healer, and high emotional intensity are being emphasized with the New Moon, while the Goddesses this week keep our eye on the prize of positivity. Goddess is always speaking to us and communicating, but are we paying attention? Be mindful of synchronicities, omens, animal allies, interesting encounters with strangers, dreams, and make note of any repeating patterns. Look for rainbows in all forms to know that Iris is delivering mystical messages that will assist you in bringing blessings into your life. Rainbow Moonstones are a perfect stone to carry with you, especially this week. Moonstone is a potent Goddess Crystal and assists with increasing your intuition and psychic awareness. The Moon rules Cancer and moonstones as well. It can facilitate emotional balance and invites the energy of Goddess to flow into and through you, cleansing your chakras, and bringing self-knowledge and clarity. Use moonstone to engage more deeply with Goddess and the moon phases. 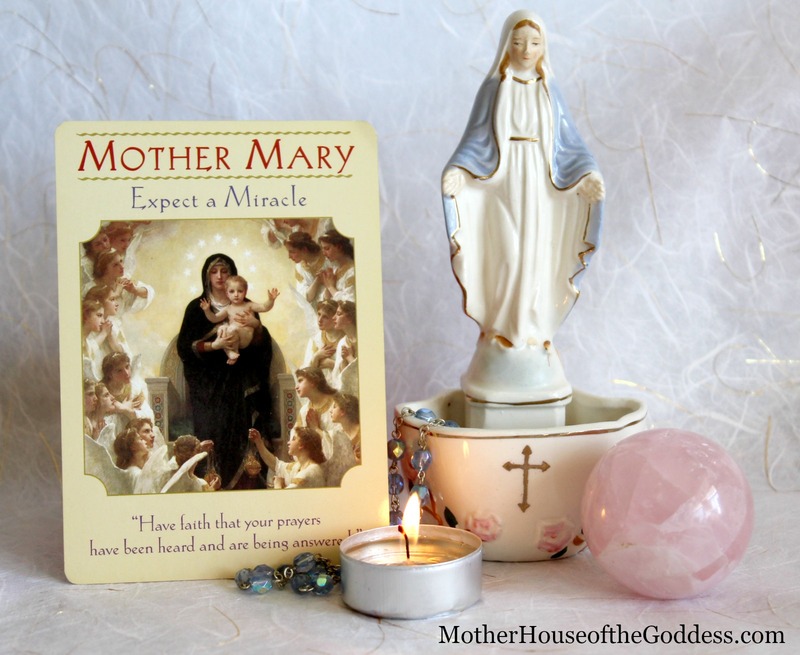 Mother Mary is the second Goddess this week and She is stepping forward in Her Miracle Worker mode. I know that when this particular card shows up, magical and miracles are coming! Mother Mary is the embodiment of compassion and through Her grace, we are able to more fully embody compassion to our Selves and to Others. 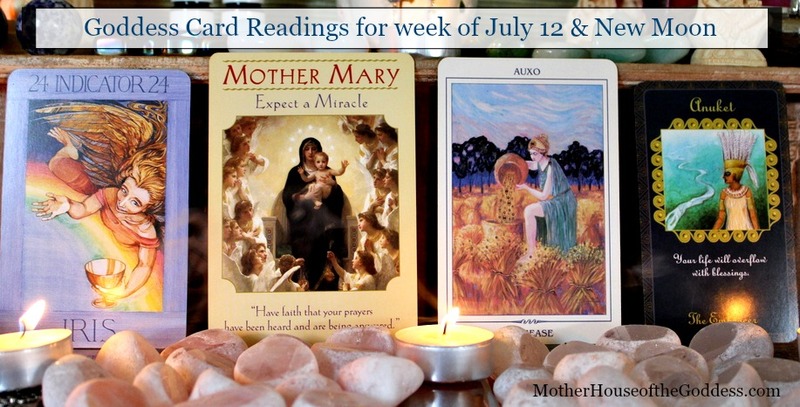 Her message this week comes straight from the card, “Have faith that your prayers have been heard and are being answered.”. When emotions are running high, clarity can be difficult to obtain. Spend some time this week in meditation, prayer, contemplation. If there is a labyrinth in your area, walk it with the purpose of gaining clarity. Are you open to receive miracles? 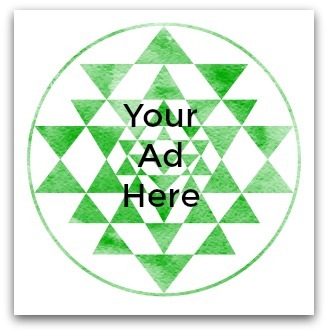 Is your heart chakra open and ready to engage? Or have disappointments and pain caused you to shut down from all the good things waiting to come into your life? It’s normal to retreat when we are in pain, but if we retreat too far, then even the good energy cannot enter. 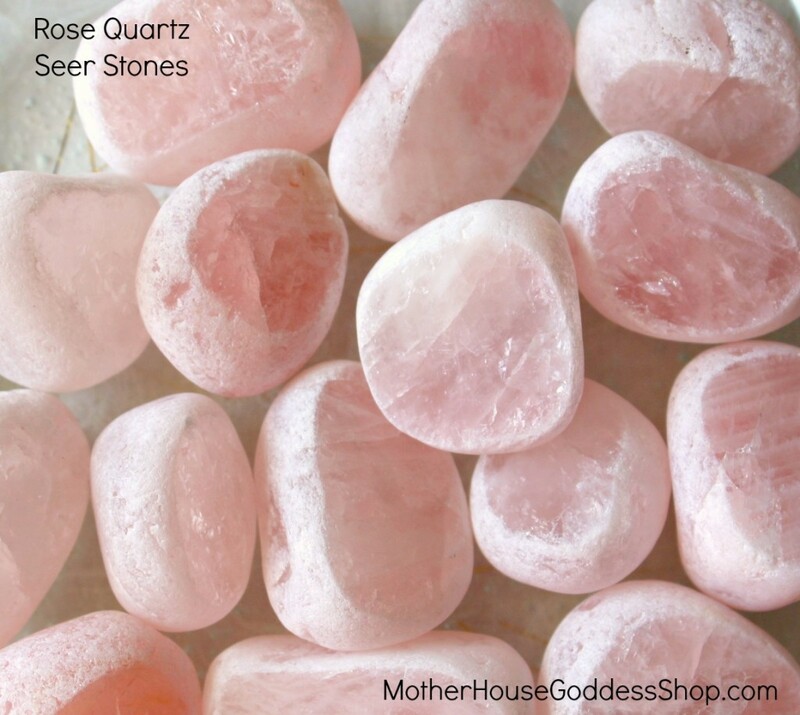 Rose Quartz is a stone of compassion and love, especially self compassion and self love. Carry it with you this week and allow its gentle energies work on your heart chakra and remind you of the unconditional love that is offered by Mother Mary. Gorgeous Seer Stones (in clear and rose quartz and amethyst) that work with you in meditation are available in the Goddess Shop. Believe in Miracles! Make way for the Goddess Auxo, one of the Greek Horae (Goddesses of the Seasons), who represents spring growth. 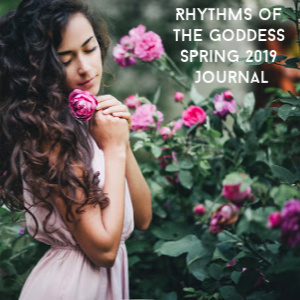 She is the Goddess that is present in the transition from late winter to early spring and through Her touch, growth and abundance returns to the land. Auxesia is also a title for the Goddess Persephone as Kore, the Spring Maiden. Auxo’s message is simple, “Begin again.”. New Moons offer us an opportunity for renewal each and every month. As we hover on the threshold of waning to waxing Moon, Goddess invites us to step over that threshold by shedding the energies that no longer serve us and setting new intentions to bring to us in the new lunation. Dark Moons (the night right before the New Moon) are the last night of the waning moon and a powerful time to consciously release. Write down what needs to go and burn it! Feel the release and then allow Goddess to support you in planting the seeds of your intentions. Auxo is here to make sure these seeds GROW. She is increased abundance, prosperity and is making that energy available to you. Take advantage! 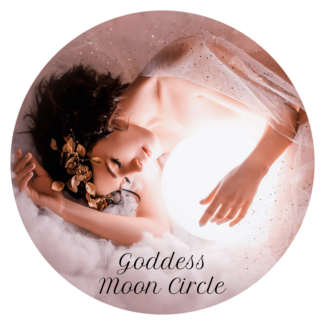 Note – while working within Moon cycles are dynamic ways to facilitate releasing and manifesting, this can be done anytime that you need to do it. Create your sacred space, invite Goddess to support and protect you, release, and then bring in the new energy through visualization, a new altar, whatever works for you! The Egyptian Goddess Anuket is flooding our senses and energy this week, punctuating the abundance that is available through Goddess! Her name means embrace and She is called She Who Embraces in Egypt. Anuket is the personification of the Nile River and Her gifts come to us in the annual inundation of the Nile which happens from June to September. As the Nile floods the plains, Anuket brings Her nourishing and fertile grace to the land and the people. When the waters recede, green and prosperity are revealed. 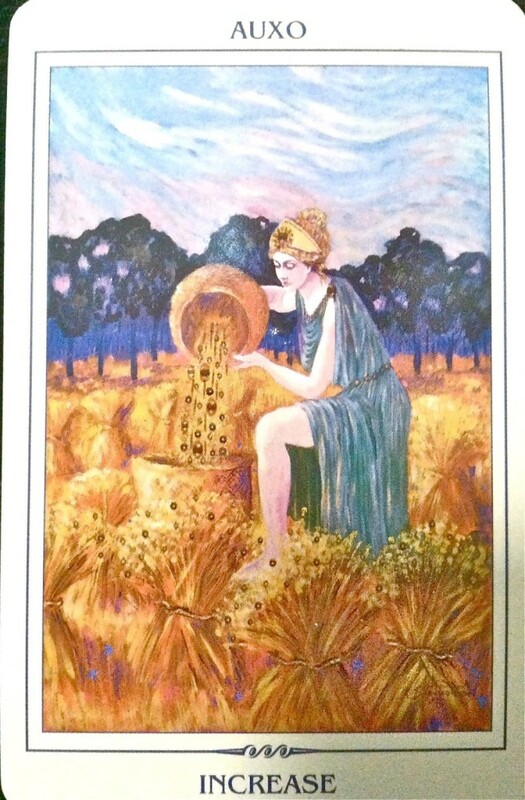 Her message is direct from the card as well, “Allow your life to overflow with blessings.”. Do you need the embrace of the Goddess? As we discussed above, our energy needs to be aligned and opened in order to receive and sometimes the way to that receptivity is to rest for a bit in the embrace of Goddess. In Anuket’s embrace, we receive nourishment, sustenance, enlivening renewal. To celebrate Her festival, people would throw coins, gold, and jewelry into the river. 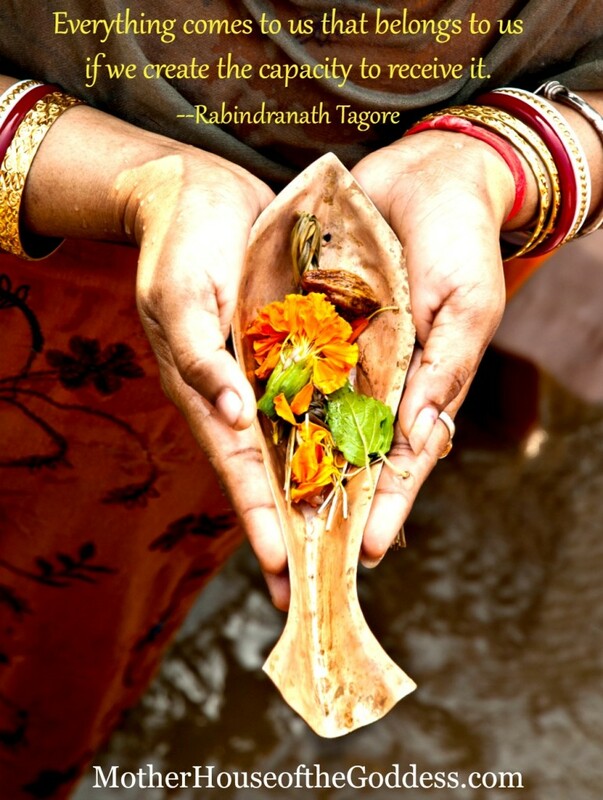 When it washed onshore further down the river, it was considered a gift from the Goddess Anuket. She also confirms that what we put into a situation will return to us. Embrace Her back. Make an offering to this Goddess and allow Her to inundate your life with blessings. If there is a river near you, bring some gifts for Anuket and hold your own Inundation Festival. As you make offerings to Anuket, know that all will be returned through Her powerful energy. May the love and compassion of Goddess infuse and support you! Tap these powerful Goddesses that have stepped forward to journey with you this week!